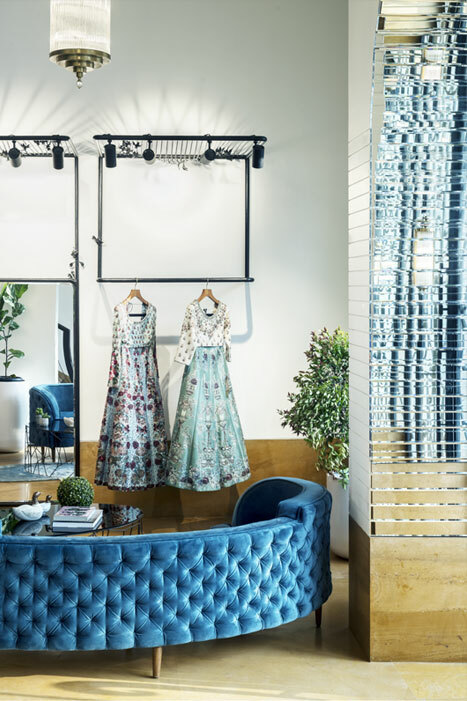 This Varun Bahl flagship store in Mumbai's Kalaghoda neighbourhood is an Art Noveau haven. 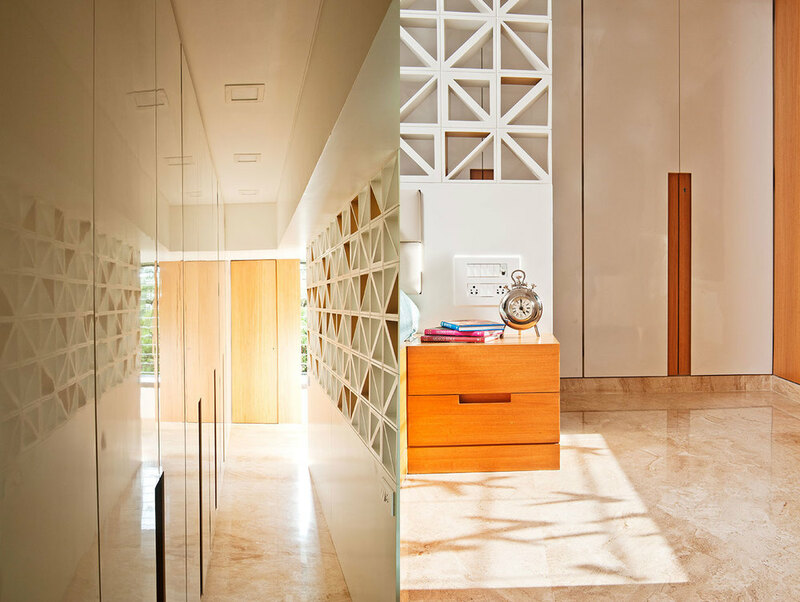 Art Noveau inspirations create a layered atmosphere, which is a recurring theme in the designer's collections. 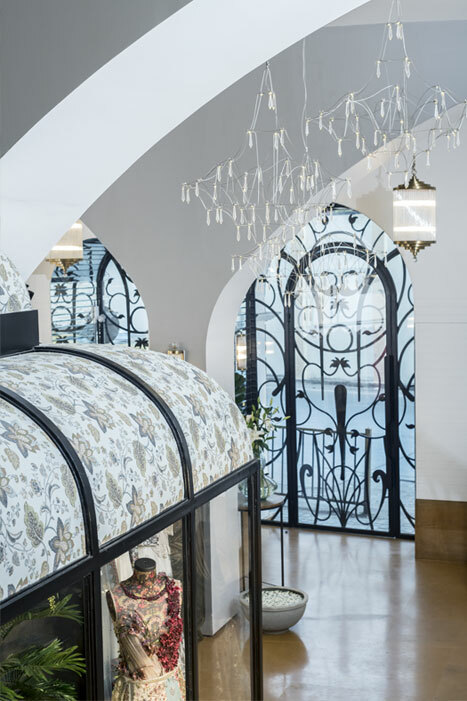 The storefront grills with their organic forms, swooping and swirling lines are decorative and sensual as distinguishing ornamental characteristics of Art Noveau. 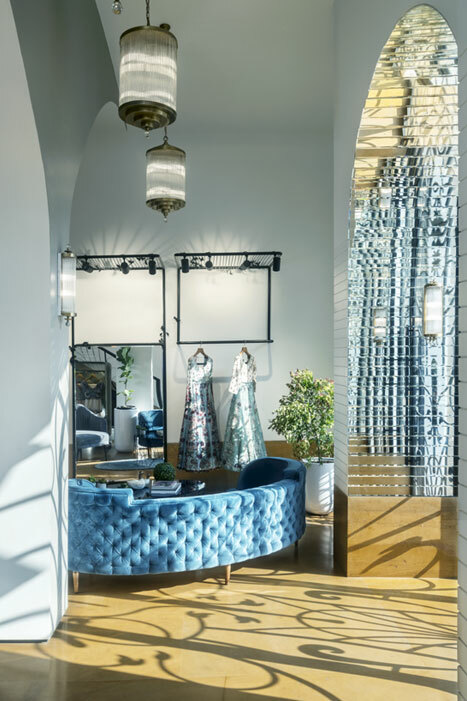 The underside of the storefront arches have been uncompromisingly clad in mirror - complimenting the decorative grills and creating curious reflections. 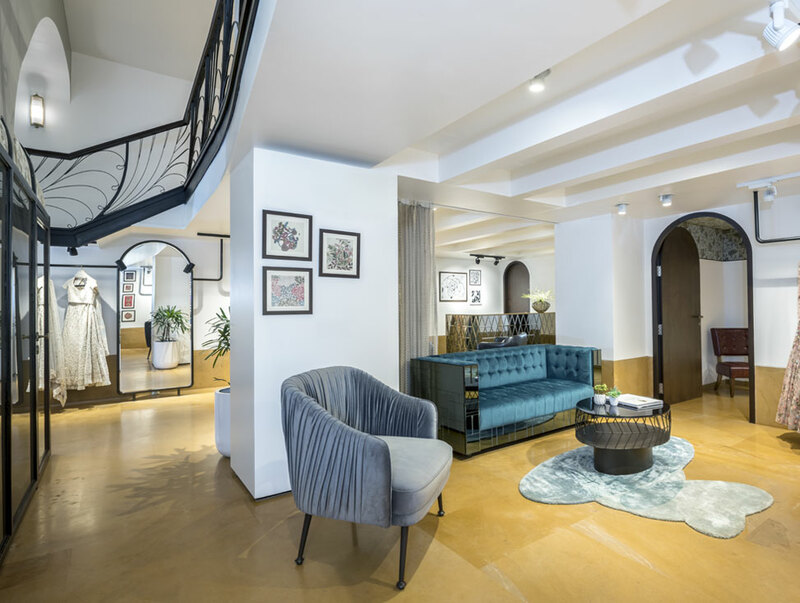 The double height space is flanked by arches giving the space a gallery like feel. 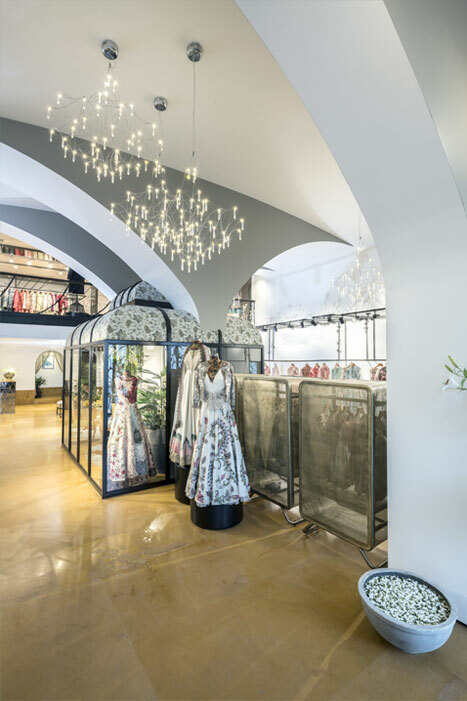 One side of the store is dedicated towards bridal clothing which is distinguished by an decorative canopy-like hanging rack system and on the other side the underside of the stairs is utilized for garment display as well. 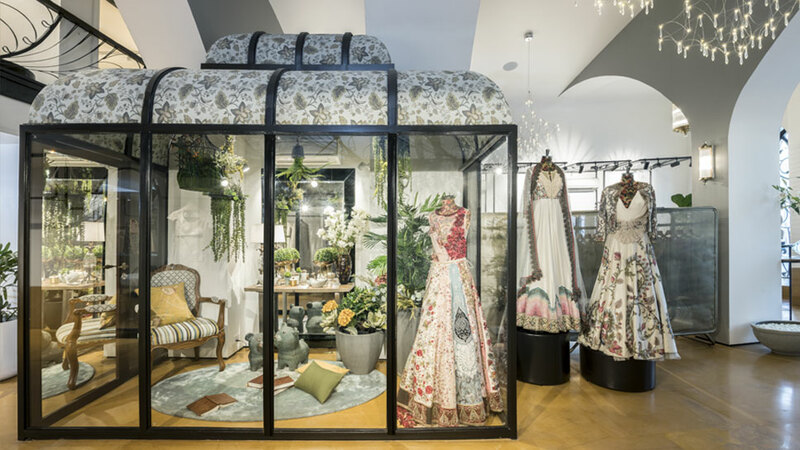 An unassuming conservatory sits in the middle of the store that reflects the current mood of the season and a mysteriously sultry atmosphere. 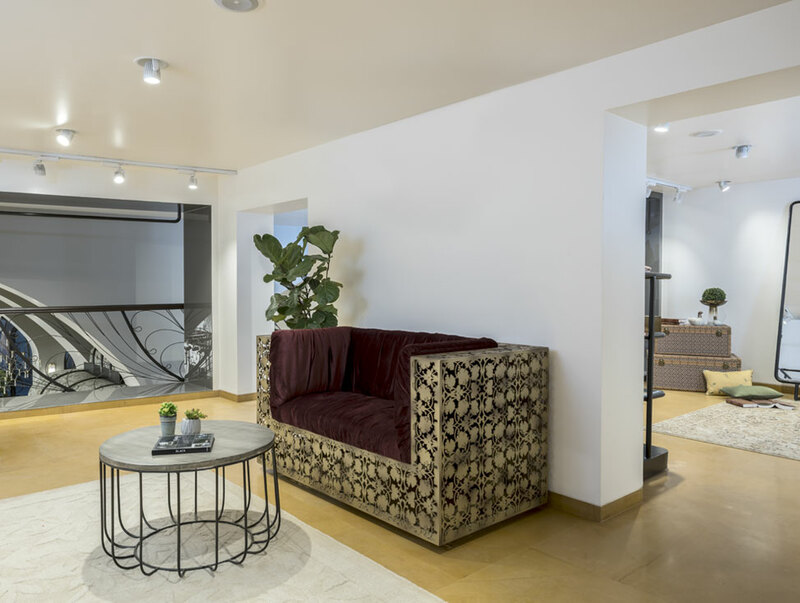 This space is designed and planned as a transformative space that can be used for visual merchandising as an internalized storefront. 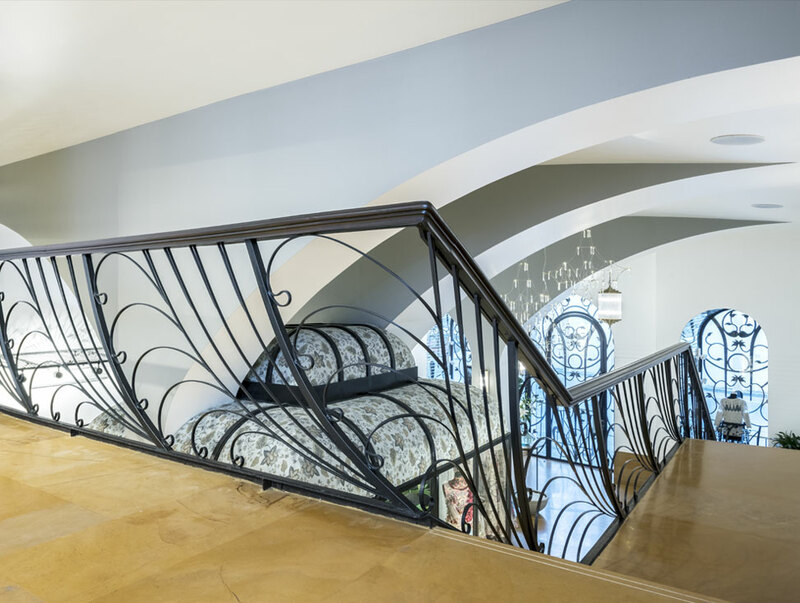 An ornamental and organic patterns appear along the stair railing that leads to the mezzanine level that houses the menswear and prêt collections.